Want to have an honest discussion about sustainable practices over a smooth glass of bourbon? 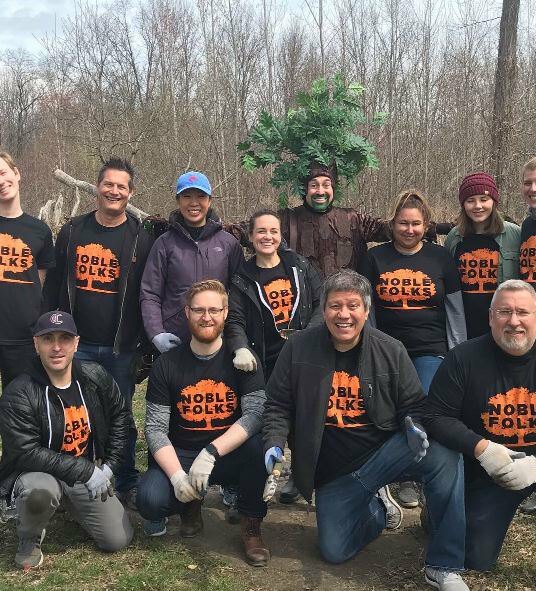 For the month of April, Noble Oak Bourbon is launching an initiative called “Most Strongly Rooted 2019,” aimed at bringing awareness to urban greenery and its significance in the Brooklyn community. Noble Oak is partnering up with mainstay Brooklyn bars to nominate the Most Strongly Rooted Tree of their neighborhoods and to create space in the Brooklyn nightlife scene for discussing climate change and other urgent environmental issues. Throughout April, the company will host tastings, trivia nights, sustainability info sessions, and other community events, all accompanied by excellent bourbon. 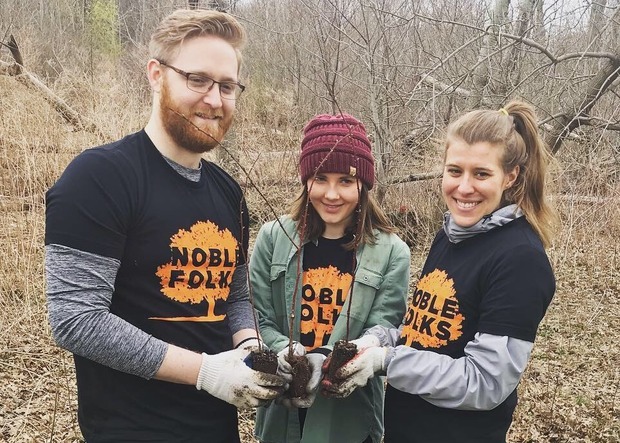 Noble Oak will gather nominations for the “Most Strongly Rooted Tree of 2019” from participating bars up until Arbor Day on April 26, and the winning tree will receive a $1,000 grant for a wellness check and remedial services. An additional $1,000 will be allocated for beautifying the block where the bar is located, in addition to a Noble Oak event to celebrate the bar’s #stronglyrooted significance in Brooklyn throughout the years. Heather Rush of East Williamsburg’s Pine Box Rock Shop bar is a heart-on-her-sleeve environmental nerd and proud tree-hugger, which is why she decided to import the UK-born “Tree of the Year” program to her home turf. In an effort to preserve these leafy giants, Rush teamed up with Laura Matte on behalf of Edrington, the supplier of Noble Oak Bourbon, with whom she’d worked before on environmental events at her bar. The two came up with a plan that merged their mutual interests in sustainability with the desire to showcase Brooklyn’s excellent bar scene. The “Most Strongly Rooted 2019” initiative sprouted from there. Growing up in Alaska, Rush told Bushwick Daily, she could never imagine a place where trees wouldn't be. 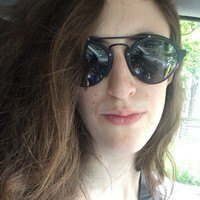 When she moved to Bushwick, Rush was saddened by how few trees there were, and she watched as the city plowed down and paved over new tree beds on her block. The UK program stood out to her because it celebrated the role of trees in the community. A tree is a person’s “tangible and singular connection to their environment,” Rush said. Rush’s favorite Brooklyn tree, for those interested, is a “full grown Russian Elm in Justice Gilbert Ramirez Park” that withstood a wave of Dutch Elm disease which knocked out 75 percent of the elm population in the 1930s. “One tough old Brooklynite,” Rush called it. In our concrete jungle, it’s easy to forget the role of trees in cleaning the air, providing oxygen, and offsetting heat islands – urban zones that are warmer than nearby rural areas. In addition to their tangible benefits, trees are also a symbol of the time-honored history and the character of New York’s neighborhoods, and are literally and figuratively entrenched in the local landscape. New York is so dedicated to documenting its trees, in fact, that the NYC Parks department even has an interactive “Street Tree Map,” where users can learn the location, species, and impact of nearly 700 thousand of the city’s trees. 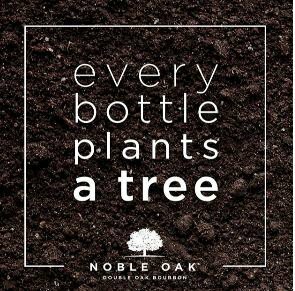 Noble Oak has always practiced a steadfast commitment to sustainability, partnering with the organization One Tree Planted to plant a tree per every bottle of bourbon. The “Most Strongly Rooted 2019” initiative takes their commitment one step further by getting the Brooklyn community involved, and inspiring active engagement with the urban environment. Grab a drink, plant a tree, and educate yourself on sustainability! 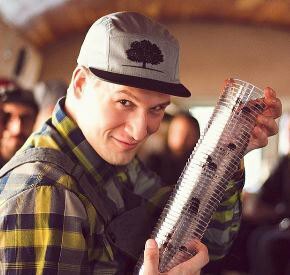 Noble Oak has over 15 different events planned this month, each celebrating Brooklyn nightlife while giving attendees the chance to engage with sustainability causes. On April 17, local music company The Wild Honey Pie will present indie darlings Daisy the Great at Greenpoint restaurant Le Fanfare. Guests can enjoy the music alongside an Italian feast paired with Noble Oak’s Double Oak Bourbon. Those interested in learning to reduce their carbon footprint (and sip sustainable cocktails) can join Noble Oak for a Sustainability 101 at zero-waste grocery store Precycle on April 16. On Arbor Day, April 26, Brooklynites can help plant a tree at the Paerdegat Basin with One Tree Planted and NYC Parks. Noble Oak will also be hosting a trivia night at Pine Box Rock Shop on June 1 at 8:30 p.m. Read below for the full list of events. Can’t make it to any of Noble Oak’s events this year? You can still nominate your pick for most #stronglyrooted tree. Head to Bushwick Daily’s nomination page to fill out a brief questionnaire. Nominating a tree for “Most Strongly Rooted 2019” is a great way to get started with helping the earth, but there’s so much more you can do – and it starts with what and how you consume. While Noble Oak wants people to make the thoughtful choice about what’s in their glass, they also encourage everyone to stop and think about their daily practices and consumption habits. Are they helping or hurting your body and the planet? Whether you’re doing your daily shopping at Precycle or just bringing your own reusable coffee cup every day, your daily decisions add up. So be a little extra mindful this April, and head over to your favorite Brooklyn bar!